US 50 to Stateline Rd, R into HVL main entrance, L on Alpine Dr, L on Hampton Dr, L on Hartford Cir. e of a kind property in HVL offering loads of privacy. 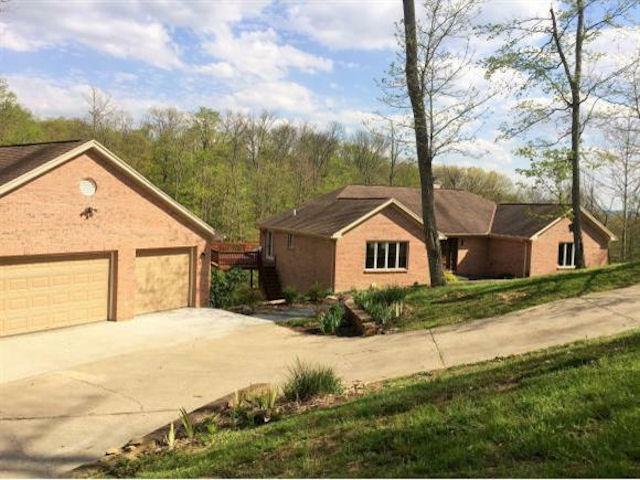 Sprawling open flr plan ranch w/finished walkout LL. Custom wet bar, game room, huge LR & FR both w/fireplaces. MBR w/master Bath/deck. Decks have awesome views! Separate 3 car garage w/workshop underneath. DR can be office or Onadditl BR. Appliances included. 3 Lots - bordering pond behind!